Since registration opened on January 2, over 3,000 PAs have already signed up for the recertification pilot that will launch next year. This pilot of an alternative to PANRE is open to all PAs who are due to recertify this year or next. However, registration is open only until June 30, 2018. Pilot participants will answer 25 questions per quarter in 2019 and 2020. Questions can be answered from any mobile device, anywhere and on your own schedule within each quarter. Full details are available at: https://www.nccpa.net/alternative-to-panre. As we started last fall, NCCPA News will introduce one Board member every month. The 2018 Board of Directors of NCCPA is chaired by Paul Lombardo, MPS, PA-C Emeritus. Paul is the first PA to serve on the governing boards of the profession's four largest national organizations. He is a past president of the American Academy of Physician Assistants (AAPA) and the Physician Assistant Education Association (PAEA), and he also served on the board of the Accreditation Review Commission on Education for the Physician Assistant (ARC-PA) as treasurer. A longtime leader in the profession, he is also a past president of the New York State Society of PAs and of AAPA’s PA Foundation. Paul retired as Chair of the Stony Brook University Department of PA Education, where he also served as Clinical Associate Professor and contributed to the advancement of the PA profession through scholarly activity, teaching and mentoring thousands of students. While at Stony Brook, he also practiced clinically in occupational medicine. A 1973 graduate of the inaugural PA class at Stony Brook University, he completed his undergraduate degree at the University of Missouri and received his MPS at The New School in NYC. Now available: The first in a series of Podcasts: "5 Answers from NCCPA." This first Podcast answers five questions about preparing for PANCE. The next one will feature answers to questions about the alternative to PANRE pilot. What do you want to know more about? Send us your suggested topics to: PR@nccpa.net. Starting this year, the physician attestation form required as proof of patient/procedure experience is no longer required before taking a Certificate of Added Qualification (CAQ) specialty exam. Now PAs seeking a CAQ can wait until after passing the exam to ask a physician to complete the form. CAQ exams will be administered at Pearson VUE centers nationwide Apr. 2-3 and Sept. 10-15. The application deadline for the spring exams is March 30. Learn more about the CAQ program and requirements, and then sign in to register to take advantage of the Spring (Apr. 2-3) or Fall (Sept. 10-15) exam administrations. Special opportunity for PAs looking to earn a CAQ in Emergency Medicine: you can complete your CME requirements at the May 3-7 SEMPA 360 Conference in San Antonio and take a special administration of the Emergency Medicine Specialty Exam at the two Pearson VUE locations in San Antonio on May 7-8. In the past, the exam after the SEMPA conference has sold out all seats, so go online and sign up now at www.nccpa.net. For those who aren’t ready to take a CAQ exam in April, CAQ exams will be offered again Sept. 10-15 at Pearson VUE exam centers across the country. So plan your CME early in the year, and apply for a seat at the exam center of your choice as soon as possible. If you’ve been to our website, www.PAsDoThat.net, you’ve seen the flipbooks, videos, PA profiles and more on this interactive site that promotes the wide range of ways certified PAs are improving health and providing high quality care. We are pleased to show you those same great features, but with a new, fresh look and expanded content. Some of the things you’ll find are a large collection of more than 70 profiles of certified PAs who are making a difference. Check it out and see who you know! New flipbooks and videos, including the 2016 Statistical Report on Certified PAs, which includes information on age, gender, education and more, are in the “Prepared and Proven” area of the site. We love to spotlight PAs making a difference! Go to the resources page to submit your story or the story of a PA you know making a difference. We are excited and passionate about what you do and want to get the message out there! Help us do that by sharing www.PAsDoThat.net and #PAsDoThat. Do you have photographs, short videos, documents or memorabilia related to the PA profession from the 1990s and early 2000s that you would like to donate to the PA History Society? If so, please email contactus@pahx.org a description of what you have, and our archivist will let you know if we can include your items in our Collection & Archives. 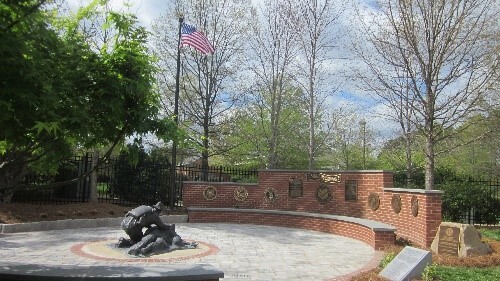 Space is available to honor a military or uniformed services PA with an engraved brick paver in the only Veterans Garden to honor strictly PAs. The beautiful and tranquil garden is located at the Eugene Stead Center in Durham, NC. 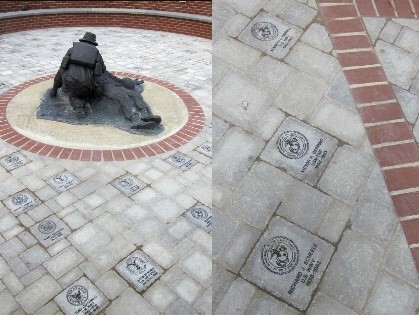 A list of PA veterans and those currently serving in the military or uniformed services can be found on the Society’s website, along with the details on how to order an engraved paver to honor your special PA.
Travel through time via the Society’s online PA Timeline from 1650, listen to fascinating stories from a variety of PAs, young and old, featured on the Society’s Oral Histories website page, or test your “PA history” knowledge on our Trivia page. Read the latest edition of the Society’s newsletter, Historical Happenings and stay up-to-date on "all things PA history" by connecting with u s on social media. Please be sure to “like” PA History Society on Facebook to receive weekly updates and follow the Society on Twitter, LinkedIn and our Blog. Congratulations to certified PAs and PA students who received nccPA Health Foundation grants during the 2017 cycle. Their commitment to improving health maintains a six-year tradition of funded grants, totaling nearly $95,000. In 2017, the Foundation awarded 18 grants, including 10 diverse projects that encouraged PAs to design activities to promote access and equitable care and 8 projects focused on oral health. Grants were awarded to PAs in 12 states, including Alabama, California, Colorado, Kansas, Massachusetts, Minnesota, Missouri, New Jersey, New York, Pennsylvania, Texas, and Wisconsin. Please join us in applauding all grantees, and watch the Foundation’s Grantee Spotlight to learn about the impact of funded projects. Ready to make a difference in your community? Apply for the Foundation’s Be the CHANGE grant, to create health access now for greater equity through patient education, screenings, or other outreach to deliver care. What are some trends for PAs this year? Dawn Morton-Rias, EdD, PA-C discusses the future of PAs in 2018 and beyond in a recent Physicians Practice blog. Kristi Kincheloe, PA-C, discusses how PAs make a big difference in delivering mental health care in the article “Shrinking the Psychiatrist Shortage” in Managed Care Magazine. Dawn Morton-Rias, EdD, PA-C, talks about Certified PAs: Unsung Warriors in the Battle to Improve Healthcare on LinkedIn. What’s Happening at NCCPA? Check out our new video “December 2017: NCCPA in 60 Seconds!” which portrays just some of the things that happened at NCCPA last month.